How do we respond meaningfully to harmful or criminal actions? Based on the principles of restorative justice, this webinar offers a framework for answering this question in your own context. The philosophy of restorative justice invites people to look beyond a merely punitive view of justice and discipline. Instead, it focuses on the needs of everyone involved, emphasizing direct accountability, reparation, prevention, dialogue, and in some cases, renewed relationship. 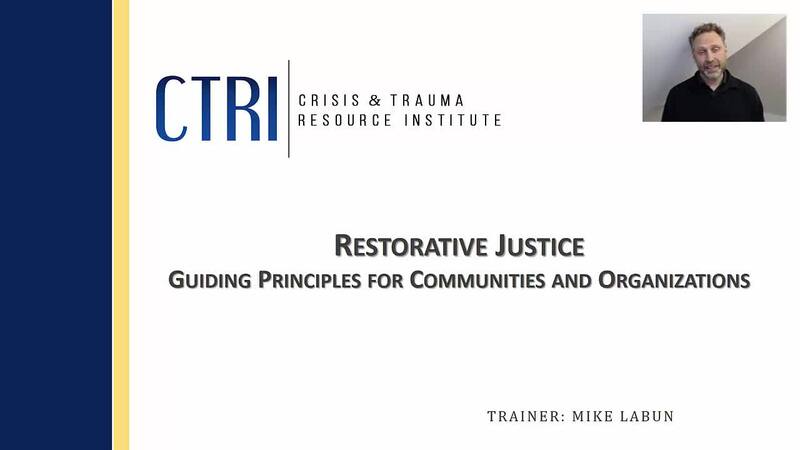 This webinar will provide you with insights for incorporating restorative justice principles into your own environment.